In the last post we looked at the 3 sitting judges on the nomination list for the Court of Appeals, New York's highest court. Let's now look at the non-judges--the remaining 4 names on the list. A partner at Cravath, Swain & Moore, one of the most prestigious and powerful law firms on the planet, he is on the nominating list for the 2nd consecutive time. A Harvard alum--undergrad and law school--he began his legal career clerking for then-Chief Judge James Browning of the U.S. Court of Appeals for the 9th Circuit (which sits in California, his native state). With Cravath for nearly 30 years, Wilson handles litigation in such areas as antitrust, securities, and intellectual property. He has also been actively involved in pro bono representation in civil rights and employment law. At the age of 54, he would be eligible to serve a full 14 year term on the Court. He is the only African-American on the nomination list. His resume--education, clerkship, career, civil rights activity--would seem to make him a very strong candidate for a position on the Court, if not for the Graffeo seat, then for a subsequent vacancy. A partner at one of the nation's most prominent firms, Paul Weiss in New York City, she too was on the previous nomination list. At the age of 50, she would be able to serve a full 14 year term. An alum of NYU law and graduate school of public service, she clerked for a federal district judge in Virginia and served under then-New York Attorney General Andrew Cuomo as an Executive Deputy for Economic Justice. Her litigation at Paul Weiss has included a wide array of both civil and criminal matters. As an Italian-American--and, in fact, the Vice-Chair of the National Organization of Italian-American Women--she is a possible choice for Governor Cuomo if he decides not to reappoint Judge Graffeo but wants to insure that the largest ethnic group in the state remains represented on the Court. On the other hand, her monetary contributions to Andrew Cuomo's campaigns might raise questions that the Governor may wish to avoid amidst the ongoing federal investigation into his disbanding of his Moreland Commission. Currently serving as the General Counsel of the New York Department of Financial Services, this alum of Columbia undergraduate and Yale law clerked for Judges John Walker and, later, Guido Calabresi of the U.S. Court of Appeals for the 2nd Circuit (which sits in Manhattan). He has worked in private practice, as a federal prosecutor (largely handling civil matters), and as a Special Counsel to state Attorney General Eric Schneiderman. He has also served as the National Civil Rights Director of the Anti-Defamation League. If appointed, Alter would be the 1st openly gay Judge in the Court's history, something the Governor might well find politically appealing. On the other hand, a potential roadblock to his serious consideration by the Governor are the reports--whether true or not--that he questioned "under God" in the Pledge of Allegiance and the use of "Merry Christmas" as the winter holiday greeting. Those politically damaging reports caused his name to be withdrawn for a federal judgeship a few years ago. An alum of Harvard college and law school, she is currently a visiting scholar there, as well as a legal and policy advisor at the MIT Media Lab. Following law school, she clerked for 2nd Circuit Judge James Oakes and then Supreme Court Justice John Paul Stevens. She then served in the Clinton administration in various positions in the Department of Justice, White House Counsel's Office, and the Office of Policy Development, and later in the Obama administration as General Counsel in the Office of Management and Budget. 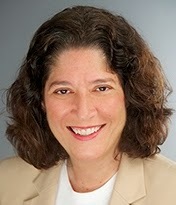 In New York State government, she served as Solicitor General in the Spitzer administration. Bansal has also served as the Chair of the U.S.Commission on International Religious Freedom. 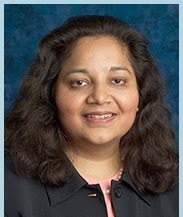 If appointed, she would be the 1st Indian-American to have sat on the Court. Despite her extraordinary resume, however, she was rated as "Not Qualified" by the Albany County Bar Association, and the New York State Bar Association gave her a bare "Qualified" designation. The New York City Bar Association, on the other hand, awarded her its highest rating, "Exceptionally Well Qualified." Because the several associations do not explain their ratings for specific individuals, the discrepancies--the widest possible--are, at best, rather curious. Well there are the 7 candidates for the Graffeo seat on New York's highest court. Whoever is appointed by the Governor (and I've made no bones about the fact that I and virtually every serious court watcher I know strongly supports the reappointment of Judge Graffeo), let's at least hope that Governor Andrew Cuomo avoids the hyper-partisan and hyper-ideological approach to appointments by recent Presidents that has been a disaster for the U.S. Supreme Court. He has an infinitely better example to follow in his father's politically and ideologically diverse appointments to our much better Court here in New York.